accident activation of ‘child lock’ function. If there are problems with power supply, you need to wait until the system resets. In different models, the process can take up 20 to 30 minutes – after that the computer will automatically unlock the door. This option will not help if there is still some water in the drum. 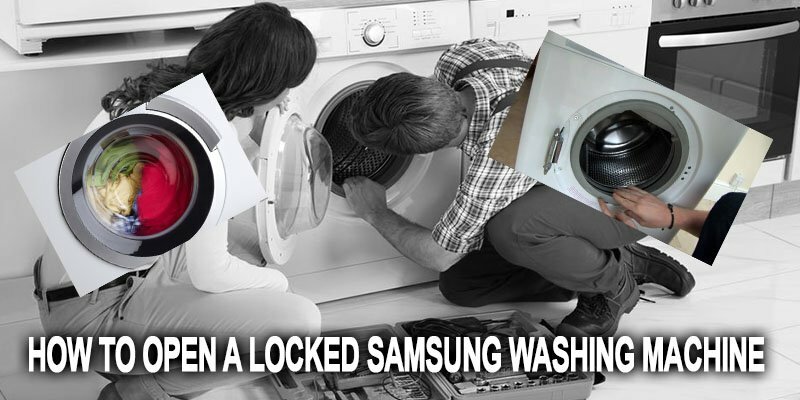 If the appliance has refuses to open the door for more than 5 minutes, you need to perform an emergency reboot and unplug the machine for half an hour. The computer will reset the last program and open the hatch. Use the “Spin” mode will if there is water in the drum. If the automatic drain system has broken, you need to drain the water manually. To remove the water manually, you will need to use the emergency drain hose located near the filter in the lower right corner of the machine. The door will automatically unlock after draining all water. Another emergency function for opening the door can be found in the same place – an emergency string. Gently pull this string and the door will open.